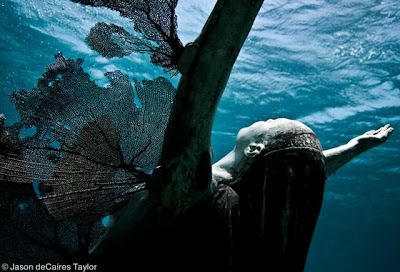 Jason deCaires Taylor is an artist who has developed a strong bond to marine life. 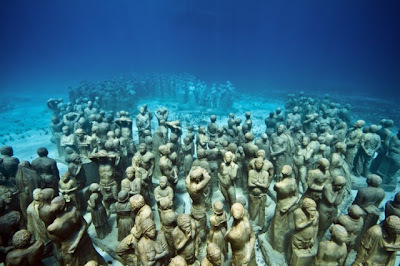 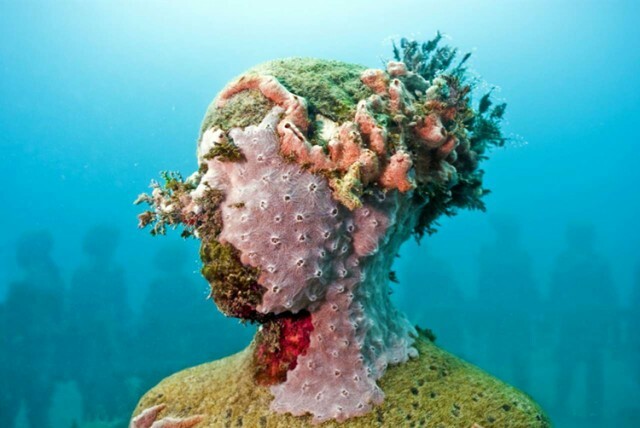 He is known for his underwater eco-friendly sculptures located off the coast of Mexico, the Bahamas, and the West Indies. 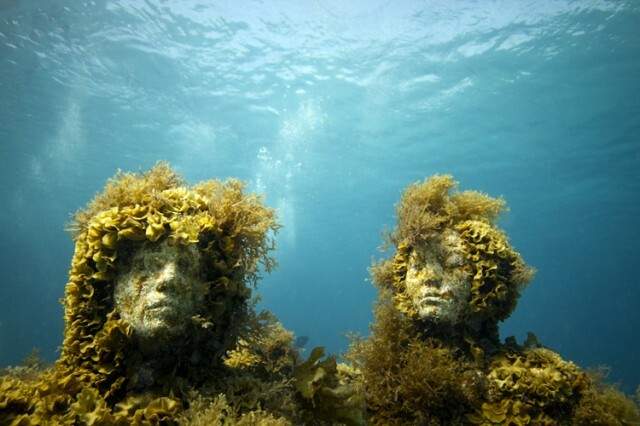 Each sculpture has been documented, which even shows how ecosystems have inherited it. Currently he has an exhibition in New York City at the Jonathan leVine Gallery where you can check out more of his work. 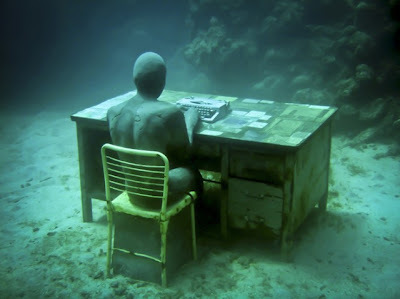 It looks like a normal community under the sea with people interacting. In some ways, this can be very creepy. Like when you dive and didn't know that something like this exist down under, of course you'll be shocked at first. 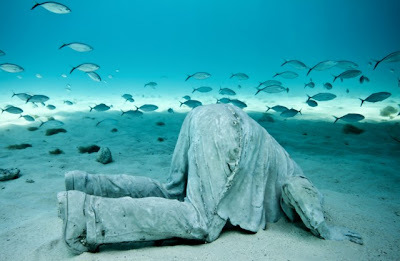 But then , this is an excellent work of art! 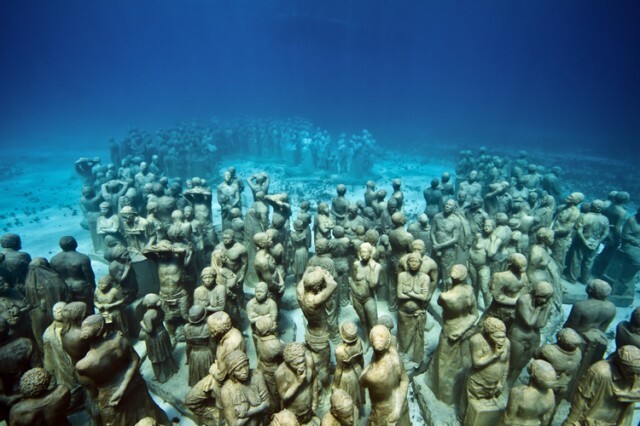 And sea creatures will have new friends to play with. They can even make these sculptures as their home.